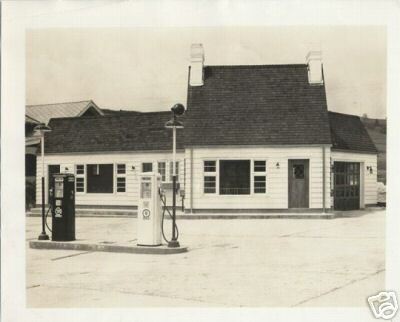 Pure Oil Company was located at the intersection of 119 and Route 50 in Grafton. It was a frequent stop for a fill-up, a quick oil change and directions for those passing along the busy road. The recent changes at this intersection and the sale of the Four Corner's Restaurant also spell the demise for this parcel of land. Walgreen's will soon occupy this former site, as construction has begun in 2008 on their new Grafton store. The Baltimore and Ohio Railroad was established in 1827, and was the first railway in the United States chartered for both freight and passenger service. 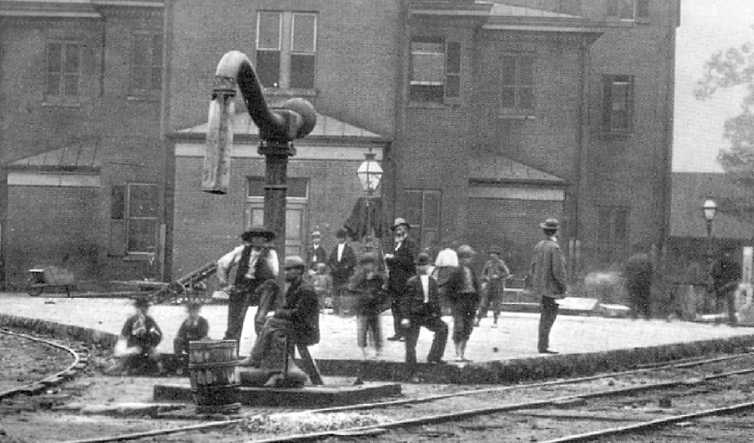 The construction of the nation's first trans-Appalachian railroad brought Grafton to life. The B&O railroad played an important strategic role in the Civil War, and was used to carry troops and supplies. Following the Civil War, Grafton grew from a railroad town to become a small retail and industrial center. The coal industry began a boom that would last until the late-1920's, and made up 90 percent of the B&O's freight, but the railroad also hauled glass, pottery, and brick from Grafton's emerging industrial plants. 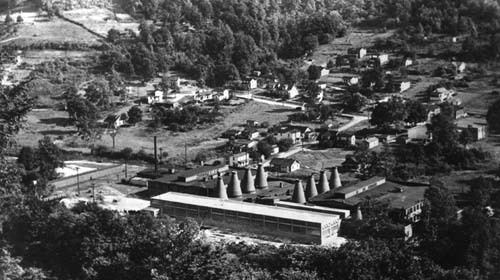 Along the Tygart river in the Parkview area of Grafton, the Carr China factory proudly stood from the early 1910's until it burned on July 16-17 in 1966. 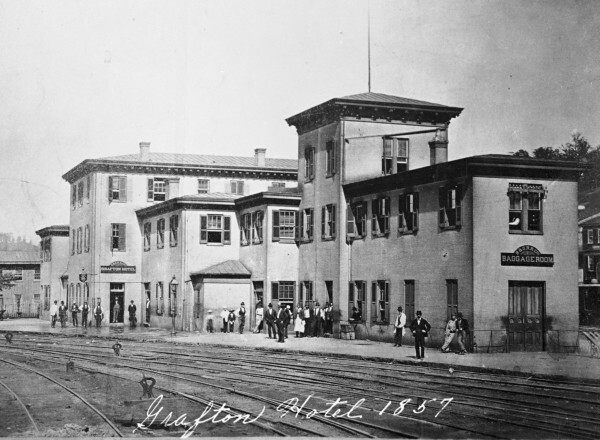 Prior to the introduction of sleeping cars on trains, Grafton was a major overnight stop on the B&O railroad line. Located less than one days travel from Baltimore, MD, in the scenic Alleghenies, Grafton was a favorite spot for travelers to spend one, or even several days. Grafton-House, the original station-hotel, completed in 1857, was described by the Cincinnati Sentinel as "a hotel par excellence... not to be surpassed upon any line in the country," noting the hotel's rooms were "the acme of comfort." Over 2000 veterans’ graves document the sacrifice of West Virginia men and women, at the Grafton National Cemetery, located at 431 Walnut Street, Grafton. Established in 1867, this 3.21 acre site is the resting place of veterans of the Spanish- American War, the Civil War, World War I, World War II, the Korean War, and the Vietnam War. 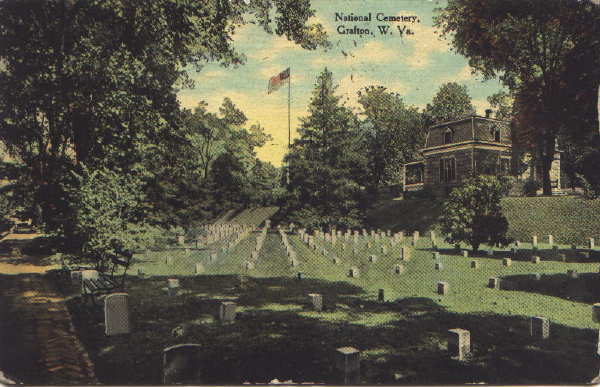 The West Virginia National Cemetery was established in 1987 and renewed burial services to veterans and their dependents previously offered at the Grafton National Cemetery. The entry to the cemetery becomes an "Avenue of Flags" on Memorial Day, Veterans Day, and other designated holidays when over 150 flags line the road. 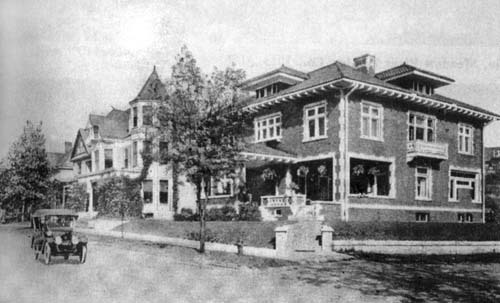 One of Grafton's most prestegious streets during the early 20th century was McGraw Avenue. On this beautiful street is where Thomas Carr, the first president of the Carr China Company established his Grafton residence with his wife, Alice. A view in Grafton, Virginia (now West Virginia) in 1860 looking past the rail depot towards the town hotel. 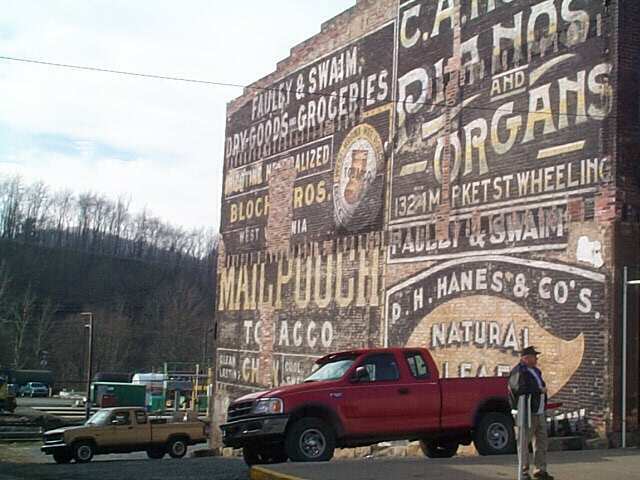 Passengers traveling through Grafton on the B&O Railroad were exposed to early advertising through the beautiful signs painted on downtown buildings. As shown in this picture, some of these beautiful early graphics remain today. A picturesque view of South Grafton in the 1880s. You can see the B&O roundhouse in the lower lefthard quadrant of the picture. 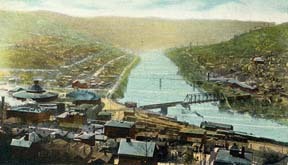 The site of the Carr China factory, yet to be built, is outside of the range of this photograph and would be up the river in the lower right-hand side of the view. 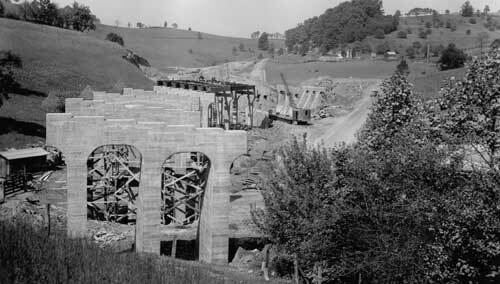 As a part of the U.S. Army Corps of Engineers project to create Tygart Dam in 1936, this portion of the railroad, an overhead pass on Route 250 had to be relocated.